Porsche fans can go one of two ways to prove their commitment to the famous Stuttgart manufacturer: invest in tacky baseball caps, jackets and other gift shop fodder or purchase something slightly more subtle but infinitely cooler. Our friends at Canford Classics, for example, offer a range of vintage 911-inspired fashion pieces in their Motoratus range, with items fashioned from re-commissioned 1970s Porsche seat covering, for example. 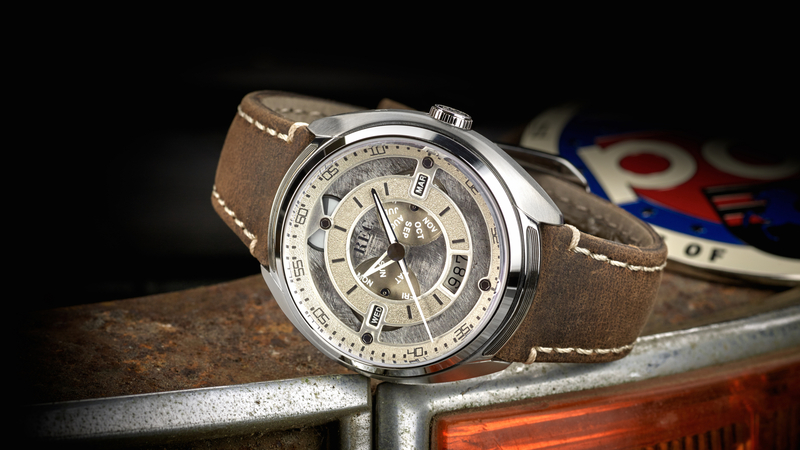 Watch company REC riffs on this idea with its 911 watch – a handsome timepiece that features a metal dial that is made exclusively from a recycled Porsche 911. Said donated classic was sent to a blacksmith on Falster – an island in the southeastern region of Denmark. The car parts were rolled flat and straightened in order to press out the dials from the resulting metal sheets. 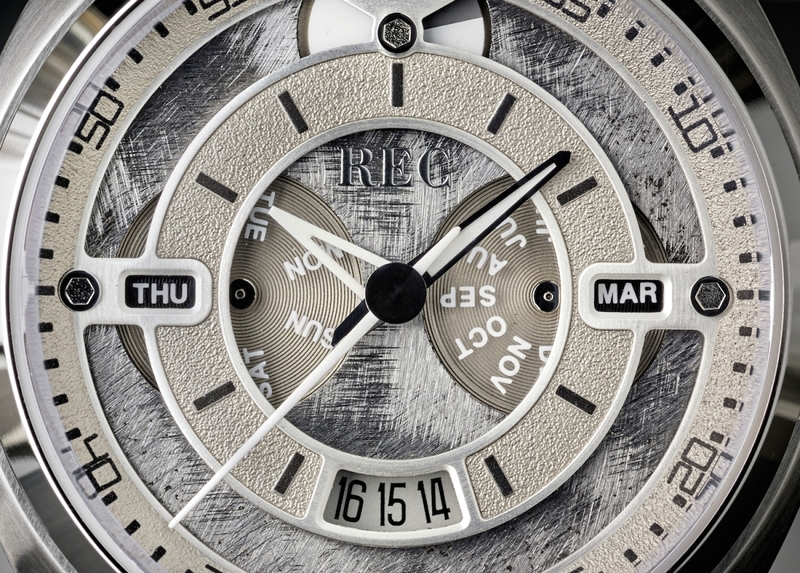 Every dial is coated with a grey, semi-transparent layer of lacquer that ensures the patina does not “spread” to other parts of the watch, while no two watch dials are ever quite the same. Behind the scenes, there’s a 9100 movement from Miyota. 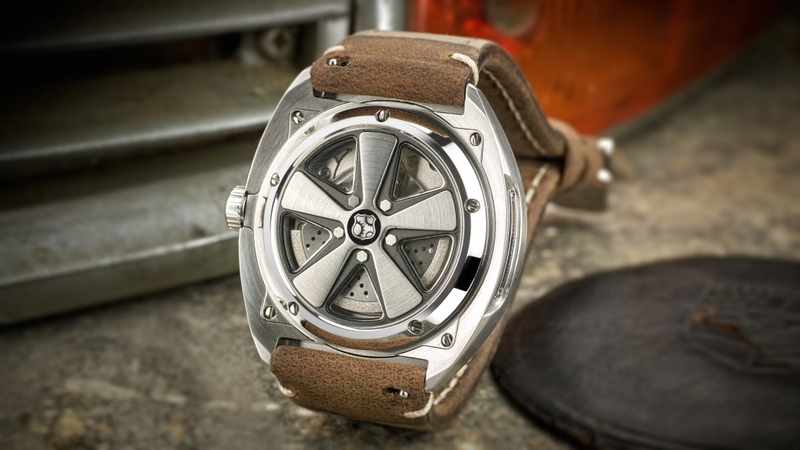 Plus, the caseback is inspired by the original 911 rims and the rotor on the movement is decorated to resemble the drilled brake discs of the classic sports car. The face features day, date and month dials, as well as a power reserve, three hands and numbering in a font that is inspired by the speedo and rev counter of classic Porsches of a certain vintage. On top of this, all REC customers receive a special Story Card, which can be scanned with NFC or QR compatible devices to reveal a video that documents the stories, anecdotes and origin of the specific 911 which became part of the timepiece. REC has gone to extraordinary lengths to illustrate the background of every timepiece, with previous donor car owners interviewed and filmed about their time spent with the glorious car. Prices start at £1,450 and the REC 911 Watch is available with either a white or black paint job, the latter decked out in black leather with contrast orange stitching and orange highlights on the face and hands.